As members of the Recycling Operators of New Zealand (RONZ ) and following our company ethos, we are continually working towards improving the environmental efficiency of our operation. Moving to reduce our carbon footprint, we have electrified as much plant as possible, and when able intend to be purchasing green electricity. By 2012 our goal is to have our diesel powered machinery complying with Emission Regulations EU Stage 111 A. Our intentions are not only to sell environmentally friendly products, but to also produce them in an environmentally safe manner. We believe there is a good market for environmental products, especially when they are cost effective to purchase. 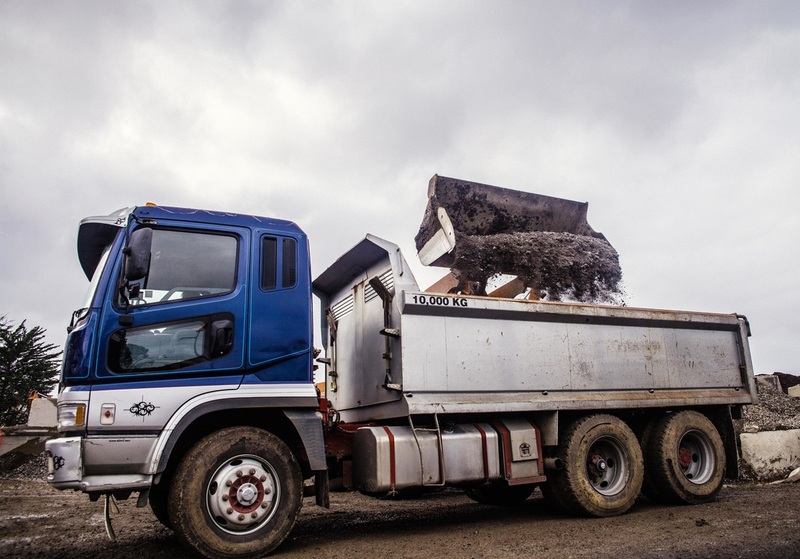 The service we provide not only saves on filling valuable landfill sites, but depending on the job location can also have a direct impact on transport costs. At over $1.00 per minute for transport these days, trucking material further than needed can make a substantial difference to a projects cost. The type of operation we run can be commonly found in progressive countries, but up until now most operators in New Zealand seem to have not developed crushed concrete products much past a basic filling product, hence a limited sales market. We take it beyond that by producing a range of quality products. People sometimes ask why we charge tip fees for their waste concrete and soil when we need it for processing. Unlike a quarry or landfill where there is only one income stream, we have two. This means we can reduce the prices of tip fees and of product supply to ensure a steady flow of material in and out. If a price comparison is made with those of traditional suppliers like landfills, quarries and supply yards, you should be pleasantly surprised.